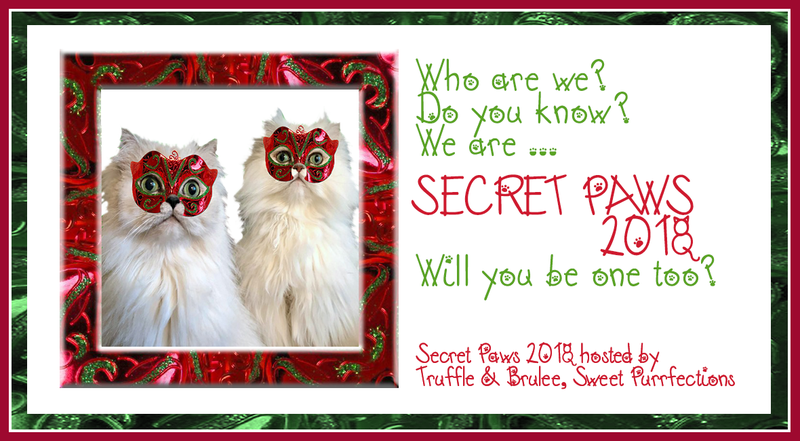 The names of your Secret Paw were emailed to you today (Friday, November 23, 2018). If you don't receive your name(s) by Sunday night (November 25), please email us immediately at sweetpurrfections@gmail.com so we can take care of this. We thought we'd post a few hints and reminders about participating in Secret Paws. Visit the blog of your secret paws to get to know a little about them. If they don't have a blog, read comments in the email you received to learn a more about your special kitty. 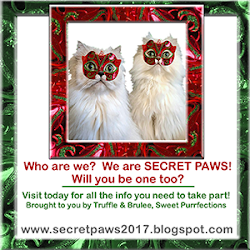 Some have left blog posts on previous Secret Paws webpages (http://secretpaws2017.blogspot.com). Go to last year's posts on this page and type their blog name in the search bar on the top left. Double check the mailing address in your email to make sure it's a valid and complete address. You may want to look it up on the Internet to verify it. If it's not valid, email us and we'll contact your kitty. 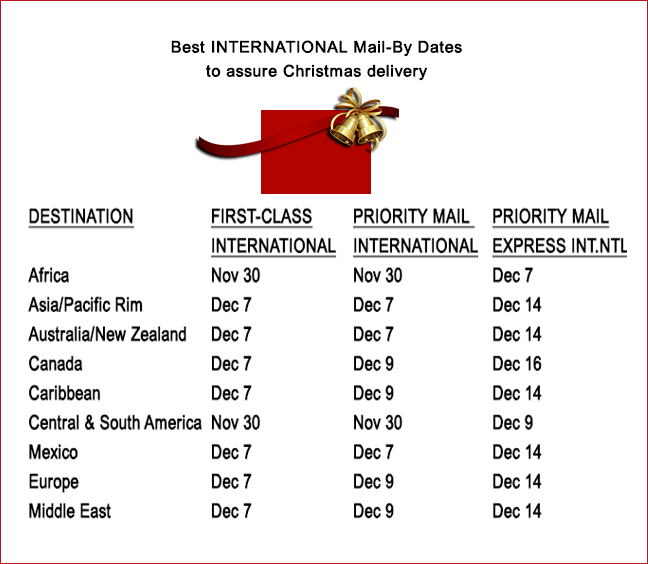 Check deadlines for shipping with the post office, Fed Ex, UPS, etc., especially if you are shipping to another country. 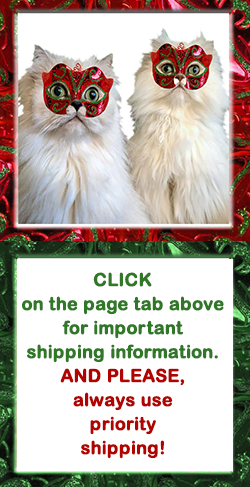 We have a tab at the top of this page about shipping deadlines. 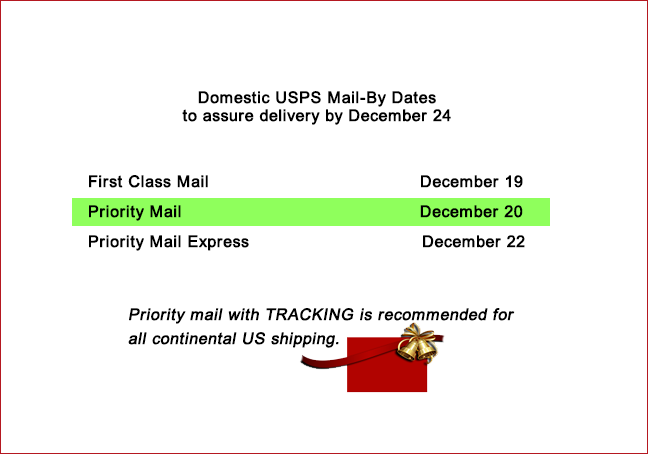 We strongly recommend shipping your package using Priority Shipping in order to have a tracking number and insurance. Packages do get lost and this is the only way to track them and know when they are delivered. Be sure to include a card inside your package to identify who you are with your email and/or blog address so your secret paw can thank you. Review the likes and dislikes of the kitties from your email. Some of the kitties have allergies and we'd hate them to get something that would make them sick. Feel free to drop in a little surprise for the human. They always like chocolate, notepads, and other special cat related items. Consider wrapping each item in holiday wrap. Many of the kitties have expressed they like this. Some of the kitties have woofies and other fur children in their houses. This is an exchange for kitties, but if you feel comfortable sending something to the other species, please feel free to do so. Please accept the "author request" to post on this blog. If you can't find the email request, please let us know and we'll send it again. 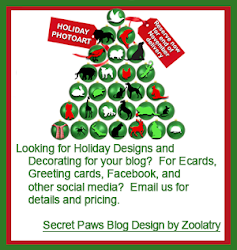 Feel free to post about putting your special package together to ship on your own blog and on the Secret Paws web page! When you receive your package, please either send an email thank you to your secret paw and/or post on your blog and/or this blog pictures of your kitties enjoying the package. Some kitties never heard from their Secret Paws last year. Failure to acknowledge the receipt of your package may disqualify you from participating in the future. We will check each day to see who has received their Secret Paws package and has posted either on their own blog or this blog. We won't contact anyone about receipt of Secret Paws package until the end of December. Please be patient with everyone. Some packages that are shipped overseas take a little longer. Some people don't open the packages until Christmas.